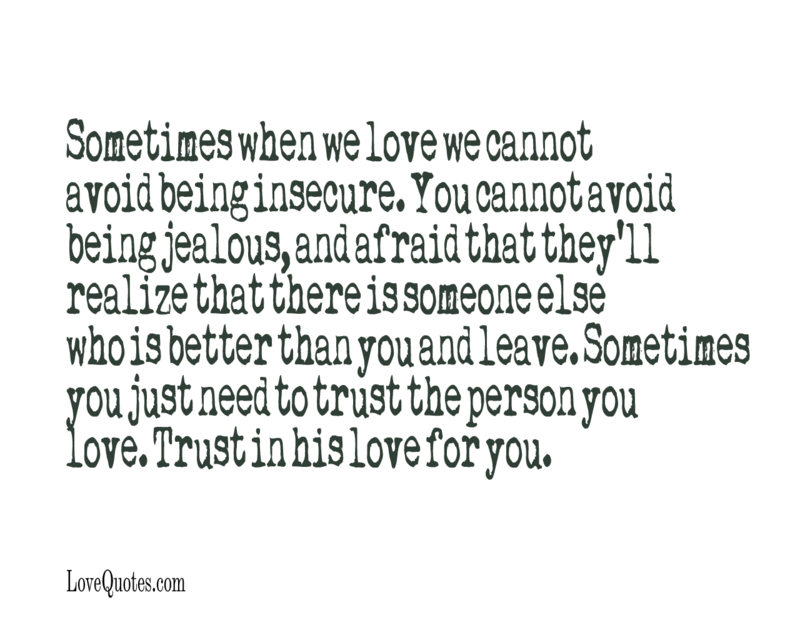 Sometimes when we love we cannot avoid being insecure. You cannot avoid being jealous, and afraid that they'll realize that there is someone else who is better than you and leave. Sometimes you just need to trust the person you love. Trust in his love for you.